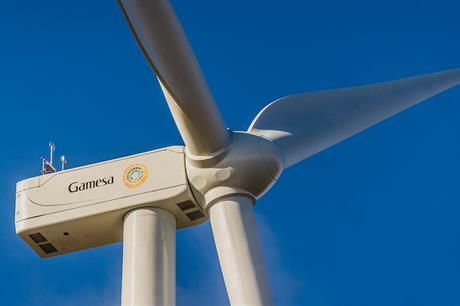 UNITED STATES: Siemens Gamesa Renewable Energy (SGRE) will supply its G132-3.465MW turbine in the US for the first time after signing two orders with different developers. In total, the manufacturer will provide 95 turbines to two separate projects with a combined capacity of 330MW, having previously received orders for the same model at sites in Mexico, Argentina and Spain. The manufacturer will supply 47 units of its G132-3.465MW model, a variation on the 3.3MW platform first unveiled in 2015, for the Midway project in San Patricio county in south Texas on the Gulf of Mexico. The project has a total capacity of nearly 163MW. The order from developer Apex Clean Energy, which manages a portfolio of renewable energy projects with a combined capacity of nearly 1.7GW, also includes a ten-year service and maintenance agreement. Midway is due to be commissioned by the end of the year. Apex sold the project to Sammons Renewable Energy in early January, but will remain responsible for the construction of the project. SGRE will also supply 48 G132-3.465MW turbines to an undisclosed customer for an unnamed project that is scheduled for commissioning next year. The deals represent the first in the US for the G132-3.465MW turbine. Its first ever order was for an unnamed 198MW project in Mexico, and has since been selected for the 97MW third and fourth phases of the Arauco wind complex in Argentina, and for two undisclosed Spanish projects.